*If your parents can help, please message one of the captains. You receive 50 dollars in CG credit if your parent helps! Guard Camp: Everyone should be in attendance unless they have notified coaches and captains. Varsity Sectional: Veterans who are interested in Varsity should be in attendance. Sectional: Everyone should be in attendance unless they notified the captains. No need to email the coaches but they should notify Nia Rae Ignacio, Brad Chang, and/or Markella Simmons. Congratulations to the Varsity Guard for making Finals at WGI Color Guard World Championships in Dayton Ohio on April 9th, 2016. 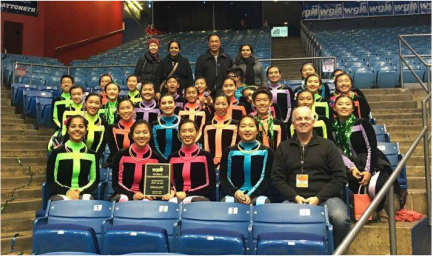 Congratulations to the JV Guard for a great run at WCWG Championships on April 3rd, 2016. Congratulations to the Frosh Guard for receiving the gold medal at WCWG Championships on April 3rd, 2016. 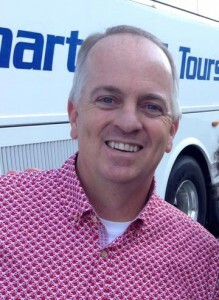 Brent Dunlap is a San Diego native with over twenty years of performance, design, and instructional experience in the marching arts. He attended UCLA and majored in Sociology. During his time at UCLA, he performed with the UCLA Bruin Marching Band. Brent has performed with the Santa Clara Vanguard Drum and Bugle Corps, the Madison Scouts Drum and Bugle Corps, Esperanza de Luz World Class Winter Guard, Pacific Crest World Class Winter Guard, Black Knights A Class Winter Guard (inaugural season), and Fantasia Winter Guard. He has worked with many of the top music programs and color guards in Southern California. Some include, Mayfair High School - WGI "A" Class finalist, Savanna High School - SCSBOA 6A color guard champion, Mt. Carmel High School - WGASC "A" class silver medalist, San Marcos High School - SCSBOA 6A band and color guard silver medalist, San Diego State University - WGASC "A" class gold medalist, and Diamond Bar High School - WGI bronze medalist and SCSBOA parade champion. Brent serves as an auxiliary adjudicator for the Southern California Schools Band and Orchestra Association. He is also a mentor judge for the SCSBOA. Brent currently resides in San Diego and is the color guard advisor at Mt. Carmel High School and Diamond Bar High School.